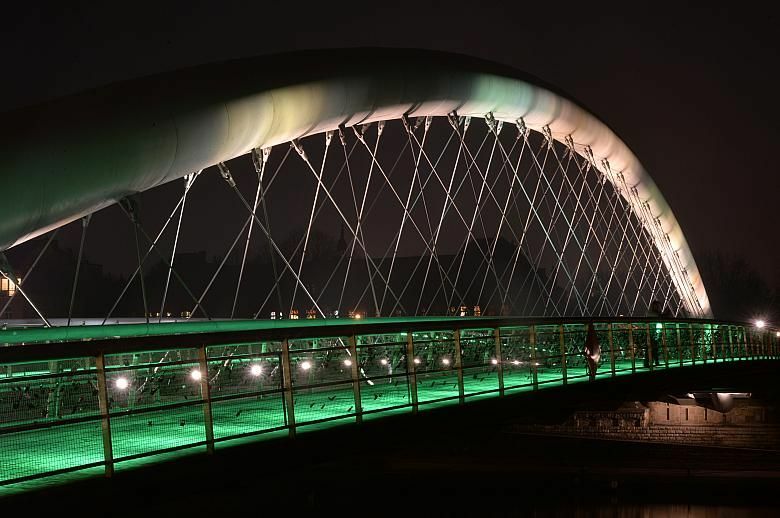 Some of Krakow’s best-known landmarks will be “going green” in honor of St. Patrick’s Day. 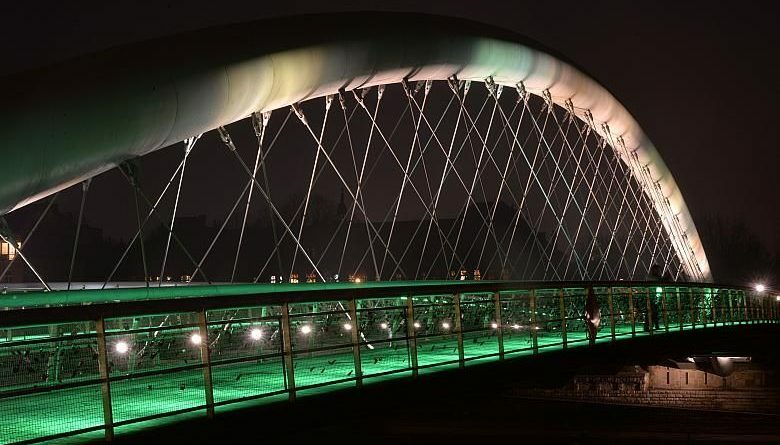 The Barnatka Footbridge (pictured above) Tauron Arena, and the Lipska-Wielicka overpass will be among the Krakow structures illuminated in green lighting on the holiday of Ireland’s patron saint. You can read more about the history of connections between Poland and Ireland here on The Krakow Post.